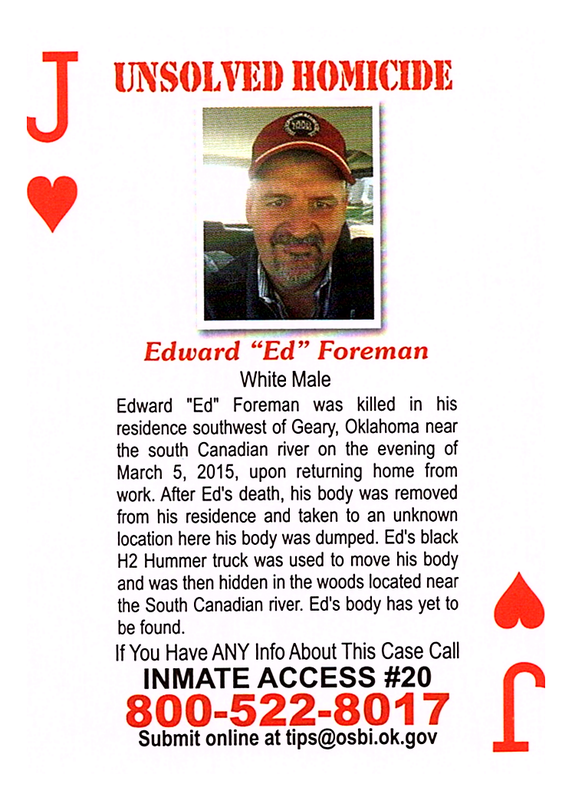 Edward "Ed" Foreman was killed in his residence southwest of Geary, Oklahoma near the south Canadian river on the evening of March 5, 2015, upon returning home from work. After Ed's death, his body was removed from his residence and taken to an unknown location where his body was dumped. Ed's black H2 Hummer truck was used to move his body and was then hidden in the woods located near the South Canadian river. Ed's body has yet to be found.